Great Wall China Adoption is a 501(c)3 non-profit organization based in Austin,Texas. Since 1996, Great Wall has assisted the Chinese government in placing more than 8,000 children with forever families. Between the headquarters located in Austin, Texas and the sister office in Beijing, China, we work on behalf of families each day to be experts at exceeding China’s requirements and adoptive families’ expectations by staying updated on aspects of China adoption. Great Wall China Adoption’s dedicated team is focused on delivering international adoption services without sacrificing intimate guidance. GWCA has an expert to guide your family through each phase of the adoption process. From dossier to travel, to our Waiting Child Program and our charitable missions, Great Wall China Adoption offers families more options, more dedication to personal service, and more amenities than any other non-profit adoption agency. Let us help you begin your journey towards international adoption and helping your family grow today! 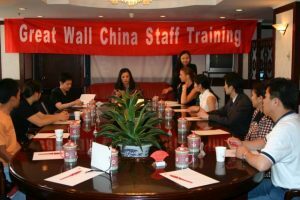 Great Wall also sets itself apart from other agencies by having an international office in the Chinese capital of Beijing, where your adoption can be priority for our staff. This office is vital to bring your child home as soon as possible! Great Wall’s China Division is fully staffed by bi-lingual, permanent employees. 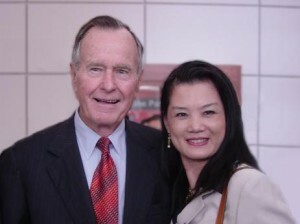 Born in the central region of China, Snow Wu, the President and CEO of GWCA, has always felt dedicated to helping children. After college, she began working for the Chinese government to improve societal conditions in the People’s Republic of China. As she translated for Chinese leaders and diplomats, Snow was forever changed by the devastating state of welfare institutions she toured, particularly the overwhelmed child welfare and social welfare institutes throughout the country. Snow recognized the dire need for change. She would soon learn that her knowledge of the governmental system, as well as her ability to communicate effectively in English, as well as Chinese, would allow her to diplomatically organize the first of many stages of relief to come for the institutionalized children. After moving to the United States to further her education, Snow began helping families translate documents given to them as they attempted to adopt a child from China. It soon became apparent that there were two halves of a whole that desperately needed each other, and Snow knew she had the power to connect them. At the same time, China was rapidly beginning to improve its Civil Affairs system regarding orphaned and abandoned children, establishing the China Center for Adoption Affairs (CCAA) in 1996 (now known as the China Center for Children’s Welfare and Adoption). The same year, Snow Wu established Great Wall China Adoption, an agency that would soon become one of the leading and most recognized agencies in uniting parents with children from China. Her devotion to helping children find loving homes has led to placing over 6,000 children with their own forever families. With Snow’s leadership, the Great Wall China Adoption organization has forged a strong and lasting relationship with the CCCWA as they work together to not only improve the conditions for those who currently work and live in Social Welfare Institutes, but to secure the happiness of the forever families created by this program. Snow frequently visits China and meets with high-level government officials to advocate for better adoption laws and regulations.